We are Zack, Holly, and Bethany Shaltz, a "retired" military family, who moved to Michigan in 1997 to build Shaltz Farm on 25 acres of land we bought back in 1990. We had a small market garden and a flock of quality registered Shetland sheep. Now we just have chickens for eggs. We farm in a sustainable manner while following organic standards which don't conflict with that goal. We are a Michigan Agriculture Environmental Assurance Program (MAEAP) verified farm under Cropping, Farmstead and Livestock operations. We have arranged this site for maximum ease of navigation. To find information about the products we sell and services we offer, look to the left of each page. 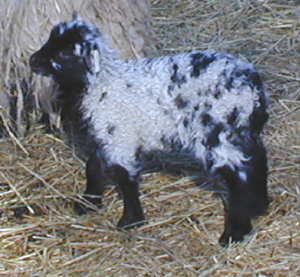 You will find links to pages about each of our primary products: Sheep including wool and registered Shetland sheep breeding stock, sheep management, color genetics and scrapie resistance; Food with information about how to buy eggs from us, as well as recipes Holly has developed; and Services including sheep education, fiber & dye classes. At the bottom of each page of our site you'll find a site map for instant access to any part of our website, a link to contact us to give us feedback about our site or products. Perhaps most importantly, a link to our guarantee which includes information about our philosophy of farming. Don't skip these links! They truly are the 'bottom line' of our farm. Enjoy! The contents of this website are copyright 2005 by Holly Shaltz. All rights reserved.